We pride ourselves on providing an HVAC maintenance plan that is unmatched in quality and service at an affordable price. The Bushwood Comfort Club is an excellent and affordable way to maintain your comfort system. You will receive two annual tune-ups, focused on improving the operation and safety of your system. Technicians often identify small problems during tune-ups that can quickly and affordably be repaired before they become untimely costly repairs. 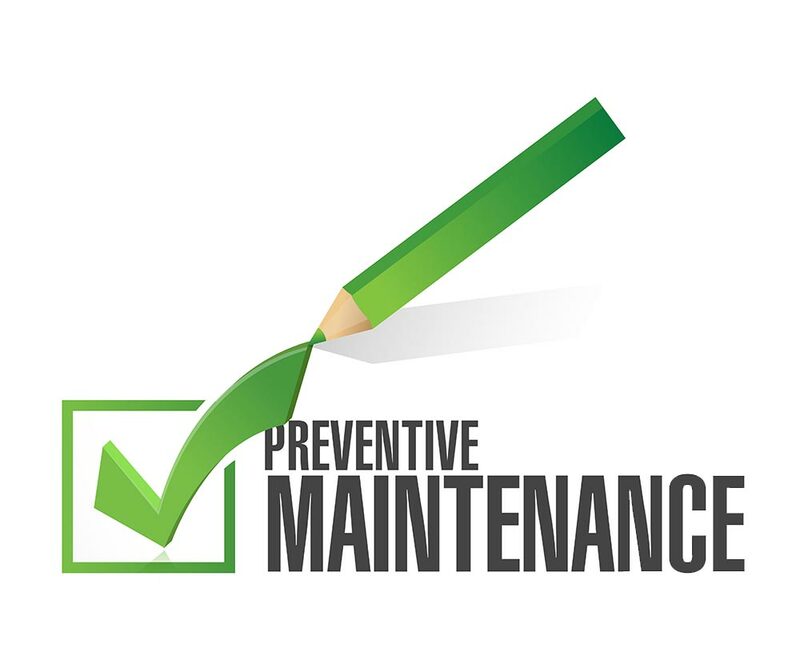 The bottom line is performing planned maintenance is the best investment you can make. It provides peace of mind that your comfort system is working at peak efficiency and maximizing your year round comfort. Enjoy peace of mind with The Bushwood Comfort Club. We offer 3 plan levels to best suit your budget and comfort needs. Give us a call at (470) 251-4441 to get started. Priority scheduling - club members serviced first! Comfort club members will receive a 10% to 15% discount on parts and labor for heating and air conditioning repairs while they are active. The Bushwood HVAC standard warranty is 90 days labor and 1 year parts on all repairs. Comfort club members will receive an extended warranty of 2 years labor and 2 years parts on all repairs. Comfort club members will receive one cooling and one heating tune-up visit per year. We reward customers who remain loyal members of The Bushwood Comfort Club. Members will accumulate between $50 and $100 loyalty cash per year. Loyalty cash can only be used towards a future entire comfort system replacement. Replacement systems must be purchased through and installed by Bushwood Heating and Air, Inc. Comfort Club members will receive a $10 to $20 discount on service calls. Members of The Bushwood Comfort Club will receive VIP scheduling priority. Bushwood HVAC will schedule club members before non-club members. Our NATE-Certified technicians use our comprehensive checklist to test your system. We focus on required repairs that will return your system to a safe and operational status. Bushwood HVAC provides a report card to members of The Bushwood Comfort Club. The report outlines issues found during the 21-pt cooling or heating inspection. Our technician will include an up-front flat-rate price for any needed repairs. Our technician will also provide general comments on the health of your HVAC system. Bushwood HVAC understands that our comfort club members are busy. We will ensure that you receive a reminder when it comes time for your next cooling or heating tune-up. We will do our best to schedule your tune-up at a convenient time for you and your family. The Bushwood Comfort Club (Planned Maintenance Agreement) and benefits are transferable. Members only need provide written notice to Bushwood Heating & Air, Inc. Club members may transfer to the new homeowner or transfer to the member's new location. Bushwood Heating & Air, Inc. limits location transfer availability to its published service area. Blower wheel blades operate at peak efficiency when they are free of dirt and dust buildup. A dirty blower wheel forces the blower motor to work harder. As the motor strains to push the required volume of air, the motor draws more amperage. This leads to high energy costs. Leaving the blower wheel uncleaned will likely cause problems with your system. These problems include failed blower capacitors, cracked heat exchangers, and possible motor failure. When cleaning a blower wheel, our certified technician first removes the blower assembly. The technician will then clean the wheel with a brush and follow with a chemical washing. The blower assembly is then reinstalled and tested for proper operation. A blower wheel cleaning by a licensed HVAC technician will improve system efficiency. A clean blower wheel reduces energy costs and avoids costly repairs. Cleaning will also extend the service life of your HVAC equipment. 1. Evaporator coils – located on the indoor unit. Their primary function is to absorb heat and humidity from your conditioned space. These coils become dirty over time by exposure to dust from inside your home. Consistent changing of your air filters is the best way to extend the life of your evaporator coils. 2. Condenser coils – located on the outdoor unit. Your system needs to remove the heat and humidity gathered from the evaporator coils. The condenser coils transfers this energy and water to the outside air. These coils become dirty over time by exposure to dirt, dust, grass clippings, and pollen. Dirty condenser and evaporator coils have a detrimental impact on your system. Your system is not able to transfer heat from your conditioned space back into the outside air. A dirty evaporator coil reduces your system's ability to dehumidify your home. Many homeowners will pass on a recommendation for a professional chemical coil cleaning. It is a critical aspect of HVAC maintenance. Skipping the cleaning is a costly mistake for many reasons. They may see higher utility bills. Or experience breakdowns from excessive strain on their system. Or it may result in a shorter system life. Bushwood HVAC recommends yearly chemical cleaning of your coils by a certified technician. Our technicians ensure proper cleaning of your system's fragile coils. Clean burners are very important to the safe and efficient operation of a furnace. When it comes to proper operation, the burners should produce flames that are sharp and even. When dirt or rust builds up on your furnace’s burners, the flames are not able to burn at the intended height. Dirty burners can also prevent the proper mixture of gas and air, leading to a yellow flame. Our certified technician will inspect the furnace burners. A professional cleaning will return your furnace to safe and operational status. Professional burner cleaning ensures the proper mix of gas and air in your furnace. This clean and stable flame will burn hot, use less energy, and keep your home warm. A professional burner cleaning reduces the risk of carbon monoxide poisoning and fire. It's an important part of any good HVAC maintenance plan.